Industrial power generators are devices in which non-electrical forms of energy are transformed into electrical energy. Mechanical, thermal and chemical energy are subject to transformation. Diesel and gas most commonly are used as a fuel for industrial installations, solid fuels are used less often. Each of the types of power generators has its own peculiarities and advantages. You may wish to read about them. alternators are the electric machines that convert the mechanical energy into electrical energy of an alternating current. Classification of the generators by synchronization is of great importance for industry. Let’s consider in more detail. Synchronous installations are electrical generators whose rotor inside has the same rotational speed as the magnetic field generated in the stator windings when the load is connected. This property allows these generators for a short time to produce a current strength that is 3-4 times larger than the nominal one. Therefore, synchronous generators are suitable for powering devices with large starting currents. Asynchronous industrial power generators have in their device a rotor whose rotation speed is different from that of the magnetic field. The difference between these speeds is called the slip coefficient. The most commonly used two variants of the rotor design are phase and short-circuited designs. Starting an asynchronous installation always requires the power supply from the outside to the stator to create a magnetic field. As soon as the speed of rotation of the rotor exceeds the speed of the magnetic field, the production of electrical energy begins. In this case the slip coefficient increases. The higher it is, the more electricity is produced by the equipment. Asynchronous generators are more reliable and resistant to high loads and short circuits in comparison with synchronous ones. However, they do not withstand large starting currents. Gasoline and diesel power generators are considered to be one of the easiest to handle and maintain. The principle of their work is extremely simple. From the gasoline or diesel combustion engine, the torque effect is transmitted to the rotor. The rotor quickly starts rotating, a magnetic field is formed in the stator windings, after which the power generator starts to produce electric energy. 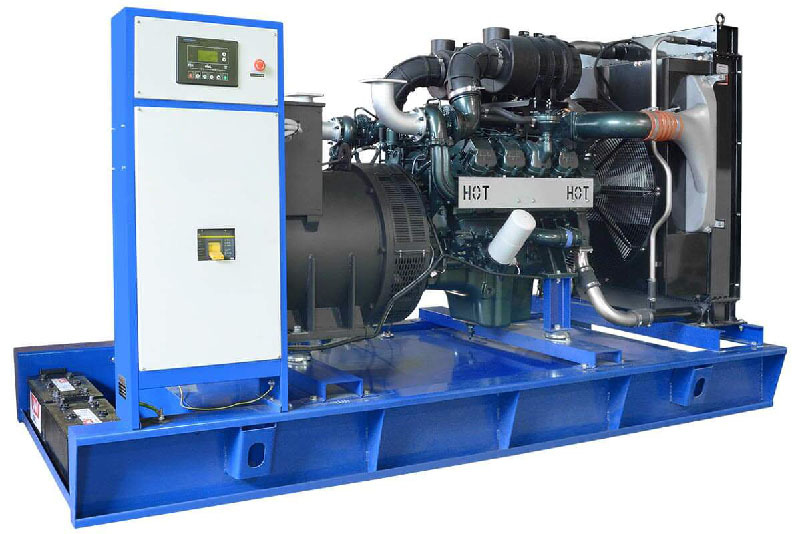 Diesel power generators are more preferred for industrial use. In comparison with gasoline equipment, they are characterized by greater power and the number of operating hours. These industrial installations can be either open or installed in a special protective container. Since the diesel is less volatile and flammable, such generators are safer than gasoline ones. The industry uses not only diesel power generators, but also gas generators. Their popularity is due to the abundance and low cost of gas fuel. Almost all gas industrial power generators, whose price is not so high, can produce electricity with such fuel as mine accompanying gas, oil gases, and also gases obtained from organic processing. The compressor under high pressure pumps atmospheric air into the combustion chamber. Gaseous fuel is pumped into the combustion chamber where it mixes with air. The fuel burns, a kiln gas is formed, then it is pumped to the turbine and rotates it faster. Thermal energy is transformed on the turbine into mechanical energy of shaft rotation. Mechanical energy is fed through the shaft to the rotor, where electricity is generated. The power generator on gas has many advantages, that’s why such equipment can be found in many industries. Among the pluses we may name economical consumption, high environmental friendliness and safety for a person, quite high performance and power. There are also disadvantages of such generators: high requirements for the qualification of the maintenance staff, because gas is potentially dangerous. Solid-fuel power generators convert the thermal energy of combustion of solid fuel into electric fuel. Different types of such equipment are capable of working on the coal, slate, wood and peat. 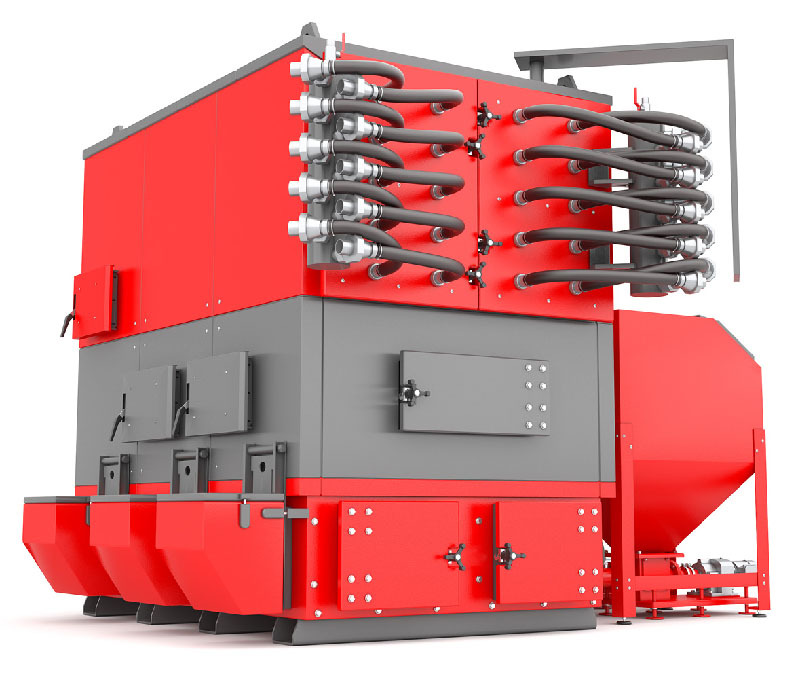 The principle of the generator on solid fuels is similar in many respects to the operation of gas installations. Only in this case, not coal, but coal or wood is burned. Then the flue gas spins the turbine, and it rotates the rotor. A solid-fuel generator is an electrical station that can not show high efficiency. It hardly reaches to 30% at the best models. Nevertheless, the development of facilities is underway of the efficiency of electricity generation that reaches 40%. Also one of the minuses of solid fuel equipment is low environmental friendliness, since the products of combustion of solid fuel are emitted only in the atmosphere. Therefore, these types of power generators are used at the factory less often. Now you know what types of electric current generators are, how they work, and what are the advantages. It is worth noting less popular, but promising variants for power generators as thermoelectric, wind, wave and magnetohydrodynamic. The most promising for industrial applications among them are wind power generators. Today, you can meet these electric generators with a power of up to 5 mW. On our website you can buy used diesel, gas generators, solid fuel electric generators, as well as combined industrial generators combining all types of fuel with a capacity of 1 MW of European production. 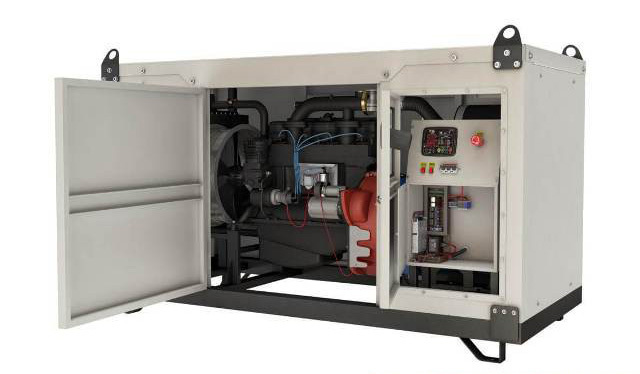 Pre-owned industrial power generators can be used at the power plants and in the production.